Rachel N. Rodriguez, MSW, MPA, has over 20 years' experience working in nonprofits and education. Currently the Executive Director of Equal Access to Justice, recent positions include Vision Director at Mountain Mahogany Community School and Deputy Director of Family Voices, Inc., an organization that promotes families as partners in healthcare decision-making. Rachel holds a bachelor's degree in English from Colorado College and master's degrees in public administration and social work from Syracuse University, having focused her graduate studies on nonprofit administration and conflict resolution. 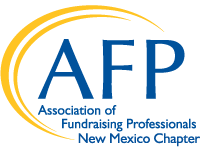 She is excited to help AFP-NM enact their goal in 2019 of increasing equity within the organization and, more broadly, the profession.